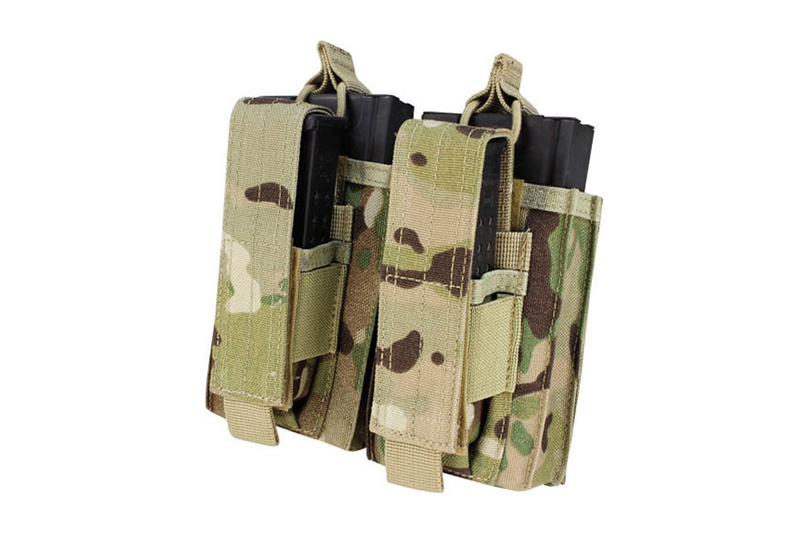 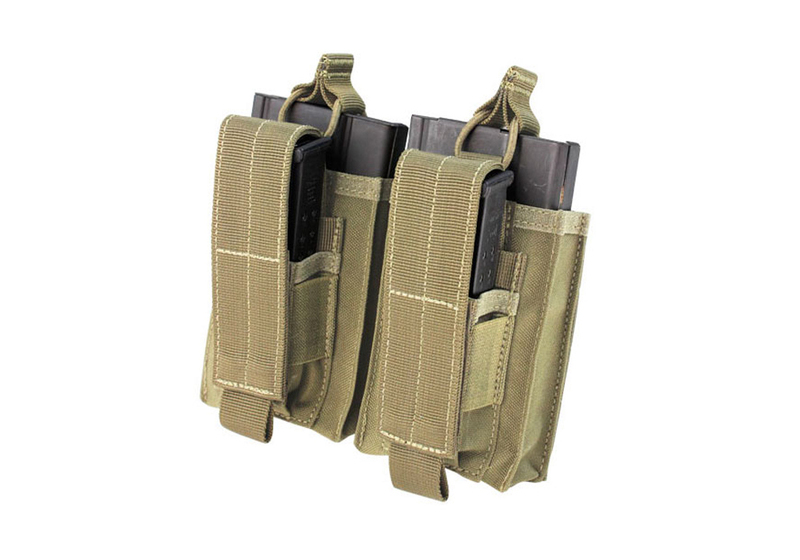 Comments: The highly innovative Condor M14 Double Kangaroo Mag Pouch is equipped to carry both rifle and pistol mags. 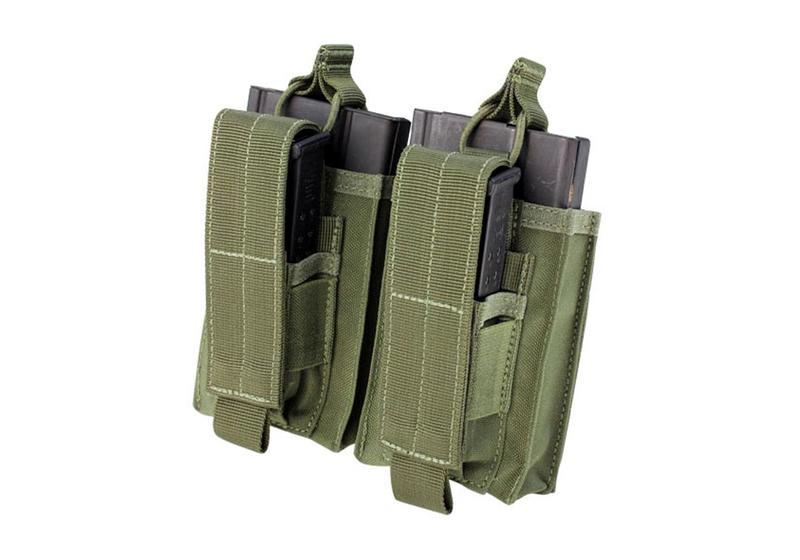 Two 30rd AK mags fit in the back compartments, while the front are fitted to hold two pistol mags. 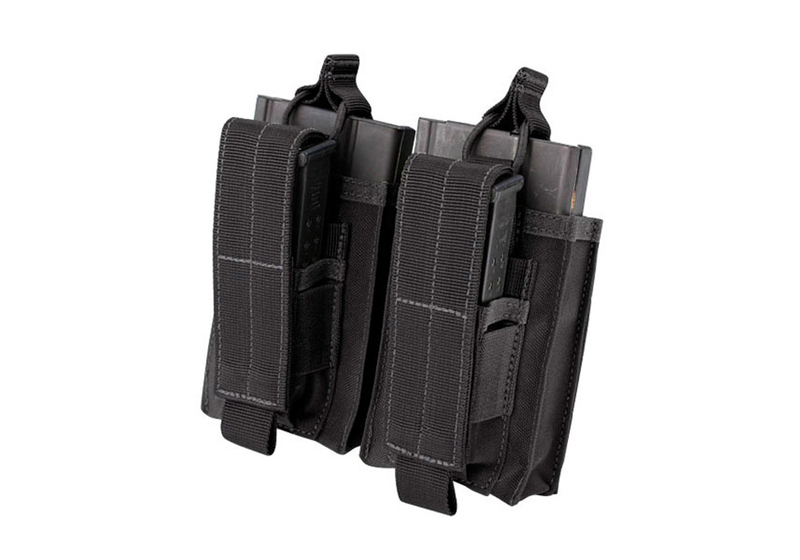 The adjustable flap closures ensure a secure fit and higher mag retention. 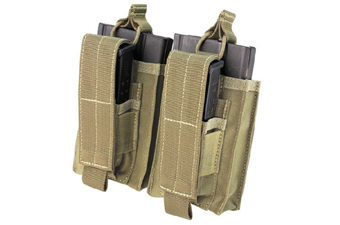 Pouch is MOLLE compatible.